New Delhi: Tourists at Australia's Mindil Beach were in for a pleasant surprise when a group of fighter jets including the Sukhoi-30MKI fighters of the Indian Air Force, performed breathtaking manoeuvres over the blue waters. The flypasts were performed by various air forces under exercise Pitch Black 18. “A rare event was the four Indian Sukhoi Su-30s and four F/A-18F Super Hornets which flew in formation for the first time, and the United States Marine Corps Ospreys also put on a spectacular handling display right in front of the crowd," the Royal Australian Air Force said in a statement on its official website. RAAF posted breathtaking videos of the breathtaking manoeuvres of the aircraft- some from even inside the cockpits. "A flypast featuring Indian, Australian & Military aircraft of other participating air forces, mesmerised the audience at Mindil Beach, Darwin, 02 Aug 18," RAAF tweeted. "AnF/A-18 Hornet conducted a handling display over Mindil Beach markets to say thank you to the local Darwin community for their support during Exercise Pitch Black 18," it said. Exercise Pitch Black is the Air Force’s largest multi-national exercise and is held in Darwin every two years. 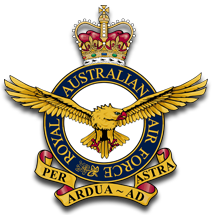 This year’s exercise has 4000 personnel and 140 aircraft from 16 nations deployed to Darwin. More than 40 aircraft flew past spectators on the iconic Northern Territory locality in a mixture of formation and single flights before the evening concluded with an F/A-18 Hornet display from the Newcastle-based No 77 Squadron- the RAAF said in a statement. Air Commodore (AIRCDRE) 'Noddy' Sawade, Director Airshows, said the 90-minute air display featured 16 different aircraft types from Australia, France, India, Indonesia, Singapore, Malaysia, Thailand, and the United States- the statement added.